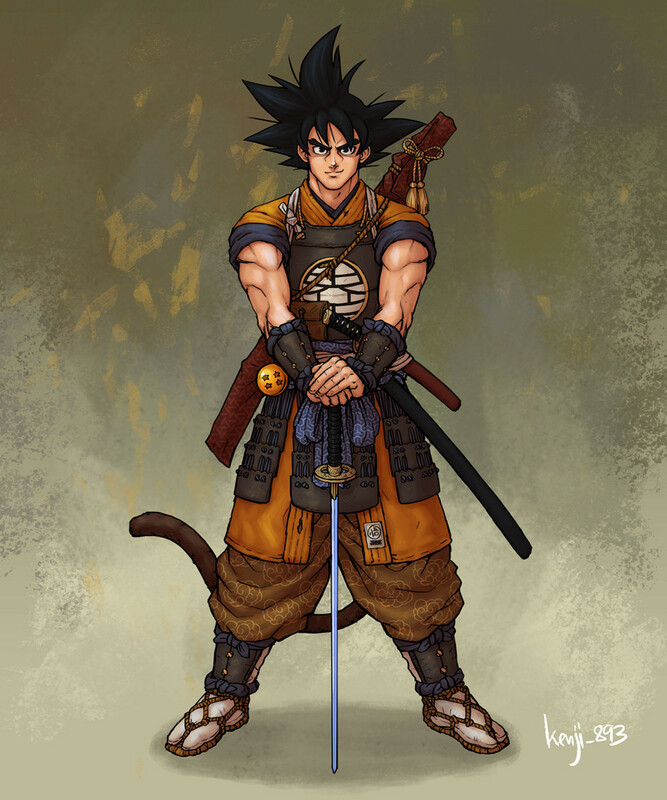 Artist Kenji Recreates Your Favorite Dragon Ball Characters With Stunning Samurai Makeovers! 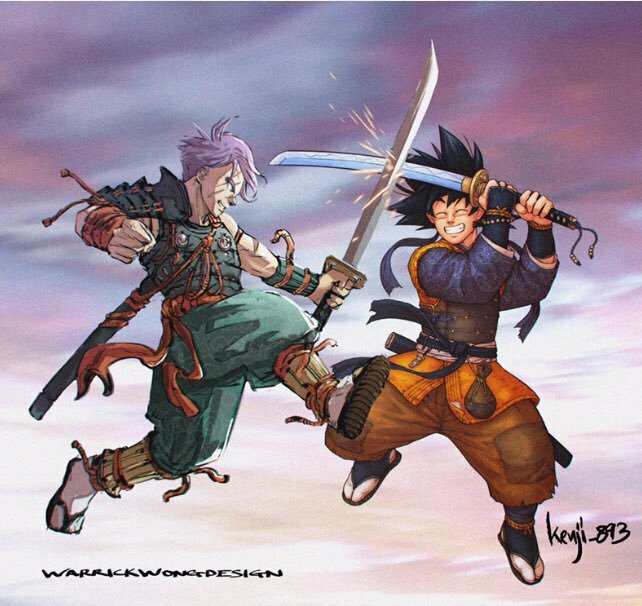 Next, we have Samurai Trunks and Samurai Goten! There’s a Samurai Super Saiyan Goten and Samurai Super Saiyan Trunks version in the end as well if you’re interested to see that. Trunks is all serious while Goten has such a happy expression on his face. This design is a collaboration between Kenji and WarrickWongDesign. It seems like Kenji did Samurai Goten while Wong did Samurai Trunks. This design is pretty neat! Well, Well, what do we have here? SAMURAI GOKU! We have Samurai Goku and that also with a tail! I really like this design. You can see the katana that nearly all Samurai possess. I think that’s the power pole behind him and you can also see the 4-star dragon ball attached to his belt type thing. He has the King Kai symbol as well on his armor plate. This samurai is just ready to fight someone and cause some trouble! He looks fantastic! Damn. That’s the first word that came into my mind when I saw this design. 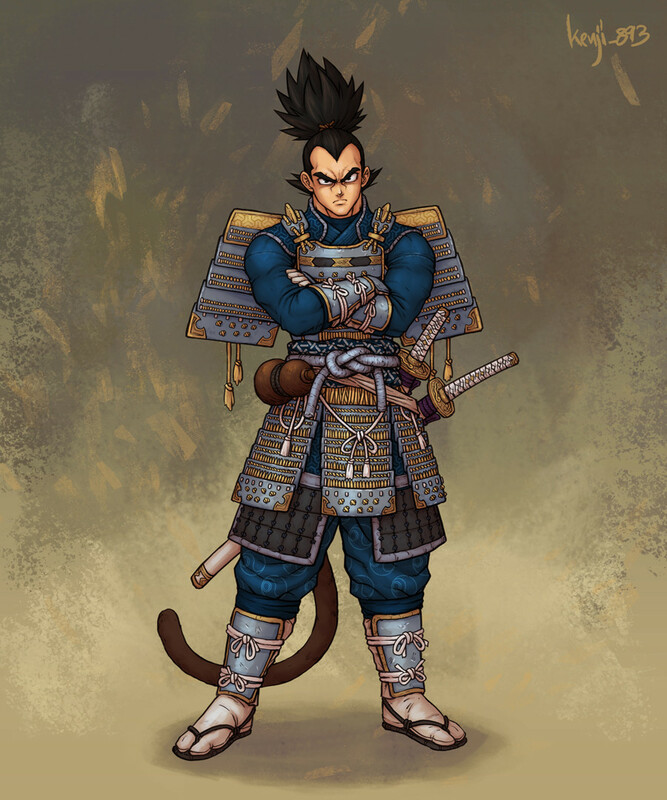 Samurai Vegeta isn’t some normal samurai. Just like how he’s royalty in the Dragon Ball world, I am pretty sure that he’s some kind of prince or shogun in this Samurai Dragon Ball world. You can tell by his hairstyle and glamorous attire. I don’t know why does he have 2 katanas but the overall design is really cool. Even his facial expression is spot on! Dragon Ball Super: Broly Announces World Premiere & U.S. Release Date! Next story Super Dragon Ball Heroes Episode 8 Release Date, Synopsis & Spoilers Revealed! Previous story Dragon Ball Super Beerus Voice Actor Talks About Beerus’ Cursed Power!